Before I launch into my list of exciting upcoming titles, check out these jerseys from the Brooklyn-Based company, Novel T’s. They’re a good way to shout “I still f***ing read!” Available thus far: Vonnegut, Poe, Austen, Wilde and more. Here’s hoping for Burroughs, Bukowksi, Bowles and Rimbaud. With out further ado, here’s a selection of books by Brooklyn-based authors and publishing houses that are coming soon, or have recently arrived in bookstores. There’s something to be said for only publishing a few books year, it really gives a house the chance to hone their voice, to say “this is what we do.” What does 2 Dollar Radio do? They break convention, they publish progressive fiction, and they go dark, but they don’t do any of these things just for the sake of doing it. D. Foy is a new literary voice who has drawn comparisons to Robert Bolaño. His novel Made To Break sounds like The Big Chill meets Alive, for GenX. A few friends get together in a remote lake cabin and are trapped after severe weather and a car accident. Laura Lippman, Joyce Carol Oates, Pete Hamill and George Pelecanos are just a few of the names that appear in this first ever, Best Of installment from Akashic’s famed noir series. In a way, the noir series at Akashic has always been a best of so you can’t really miss picking this one up. The book is worth buying for Pete Hamill’s story “The Book Signing” alone. Just because you’re young doesn’t mean you should’t read well, or local for that matter. Brooklynite Amy Herrick’s new novel Time Fetch is about a boy who must save the world after altering the fabric of space and time after picking up a sleeping rock. Time Fetch is a fantasy adventure novel, The Magic Schoolbus for a generation that’s perhaps too sophisticated for Ms. Frizzle. 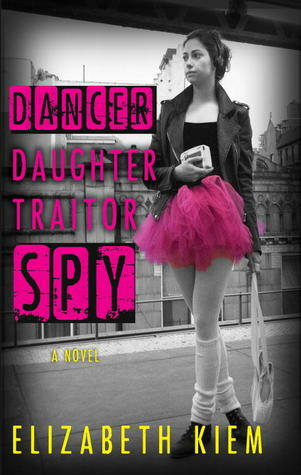 One of the Soviet Union most talented young ballet dancers finds herself with a gift of second sight, which she uses to uncover government secrets. When the powers that be catch on, she’s left with no choice but to defect to Brooklyn New York where she attends Julliard. But soon her “gift” threatens to challenge her success. Think The Girl With the Dragon Tattoo meets Sookie Stackhouse.